Incident comes day after a Navy officer was killed following a gas leakage onboard INS Kolkata. A day after a Navy commander died on board a Kolkata-class destroyer during trials in Mumbai, one civilian worker was killed and two others were injured as an accident hit India’s ambitious nuclear submarine construction programme during tests for the second of the Arihant class of missile boats under construction in Visakhapatnam. 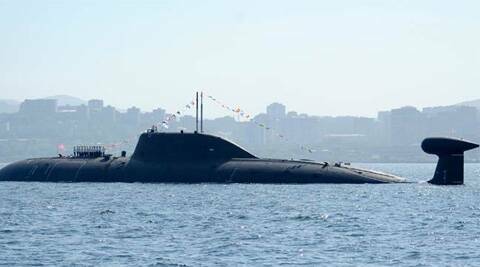 Sources said the accident took place on the Aridaman project, the follow on boat of INS Arihant, at the ship building centre in Visakhapatnam on Saturday while pressure tests were being carried out. The worker who died was a civilian sub-contractor who was part of the construction crew. The accident, sources said, took place when the hull was being pressure tested and one of the hatches flew apart. The strategic submarine is being constructed at the Eastern Naval Command and an inquiry has been set up by DRDO that is leading the project. “During testing of a pressure tank at a facility of the Department of Defence R&D related to development of submarines at Vishakhapatnam, an accident took place while testing of a pressure tank at about 5 pm. One person, a contractual worker lost his life in the accident. Two others were injured and are under treatment,” a DRDO spokesperson said. Confirming that an inquiry has been ordered, DRDO said “the submarines are safe and the accident does not adversely affect the project”. The Aridaman is the second in the line of three Arihant class boats that will be part of India’s vital nuclear triad. The Arihant is currently undergoing trials and is expected to join the fleet this year.